Jerilyn and Alastair got married in Kidderminster Town Hall but wanted to do something a little different for their wedding reception. They hired Kinver Scout Camp, a huge expanse of countryside with a beautiful setting and held their wedding reception in a marquee. Kidderminster Town Hall provided a surprisingly colour backdrop. For me, this photo perfectly encapsulates their wedding day. 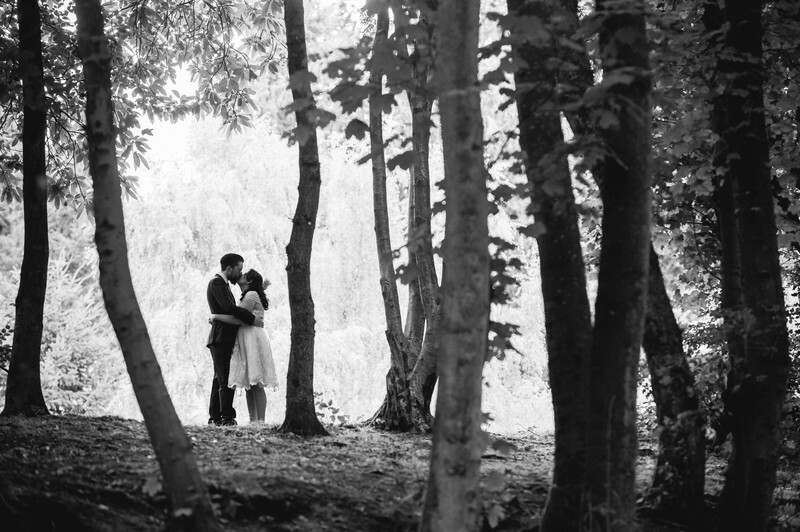 A vast expanse of woodland but with the focus remaining on the bride and groom. 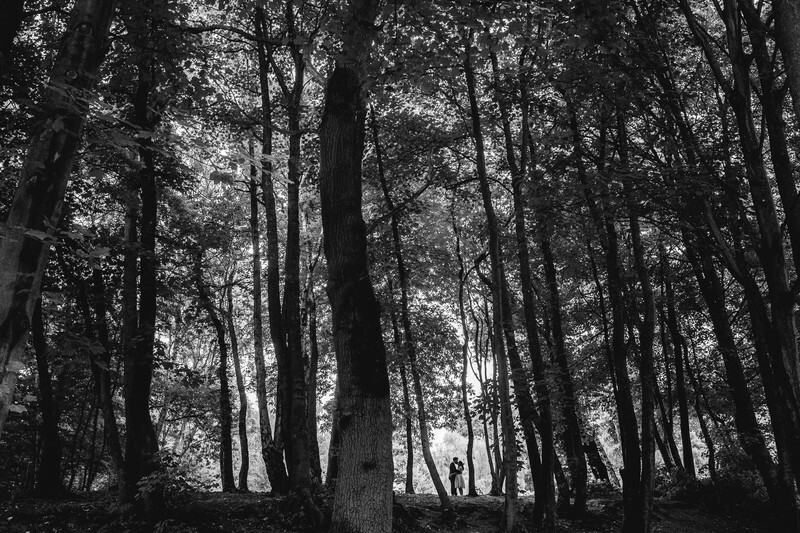 To the outside perspective, a scout camp might not provide the ideal backdrop for wedding photos, but this wasn't the case - if anything, we almost had too much choice of where to take photos! The woods that surrounded the camp provided not only a great backdrop, but an opportunity to frame the bride and groom using trees as foreground and mid-ground interest. 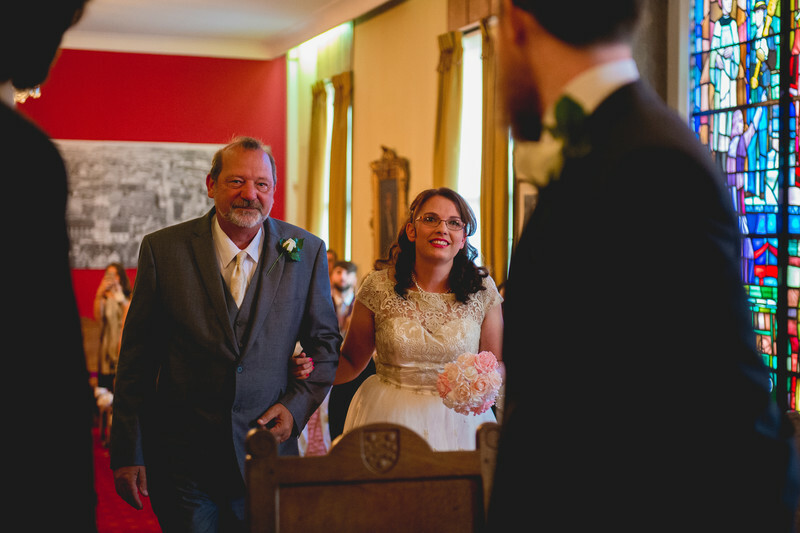 Jeri and Alastair picked the perfect day for their wedding reception at Kinver Scout Camp, it was warm without being too hot and remained dry throughout. Whilst perhaps not your most conventional of venues for a wedding reception, I've love to go back to this location and shoot it again - the possibilities for wedding photos is almost endless! These photos also emphasise my style well, which I'd describe as a blend of photojournalism and environmental portraiture. Location: Kinver Scout Camp, Kinver, Worcestershire.